Our team at Melbourne Child Development is dedicated to providing the highest standard of services to children and their families. With 8 experienced and passionate clinicians, supported by a friendly and caring client services team, the combined vision for services at the Practice is to investigate, create means, and facilitate a child, adolescent or young adult’s ability to achieve their communication and learning potential. Our clinicians work with children of all ages and backgrounds, and who have a broad range of language, communication, and health needs. Each practitioner comes from a unique background of training and prior work, and has specific special interest areas and additional qualifications, resulting in a team that is diverse in its perspectives and therapeutic approaches. Working in close collaboration with one another, this diversity combines to create a dynamic and skillful group of practitioners sharing their knowledge and expertise. Robyn was recently interviewed by Alan Brough (11/9/11) on ABC 774 (click here to listen to the interview), and was a talkback guest on Hilary Harper’s show (8/10/11), also on ABC 774. 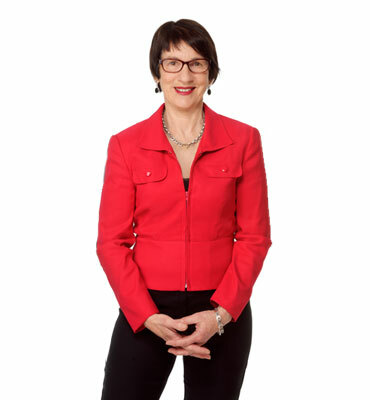 Robyn is the founder and Principal of Robyn Stephen and Associates and has over 30 years clinical & management experience in Speech Pathology in public health, education, and independent practice. Her vision together with her team of 5 Speech Pathologists and her client services team is to provide the highest standard of Speech Pathology service to families to investigate, create means, and facilitate a child, adolescent or young adult’s ability to achieve their communication and learning potential. Robyn has worked extensively with Speech Pathology Australia (SPA) educating and advocating for children’s communication and learning opportunities including recently writing and presenting a self study module on Screening, Assessment and Differential Diagnosis of Autism Spectrum Disorders; presenting an industry professional development workshop on A Developmental Approach to the Treatment of Children with Autism and their families, consultation on their response to the Autism State Plan; contribution to the SPA Autism Spectrum Disorder Advisory Group; and various contributions to media, forums and presentations to school groups, parent groups and colleagues. Robyn Stephen & Associates is also a founding member of the Beyond Autism and Better Start Therapy consortiums: Early Intervention Provider Panel Members under the helping children with disabilities Federal Government initiative and are the lead Victorian licensee of the highly successful Cellfield program: a breakthrough computer intervention for reading disorders. In May this year, Robyn was elected to the National Council of Speech Pathology Australia. 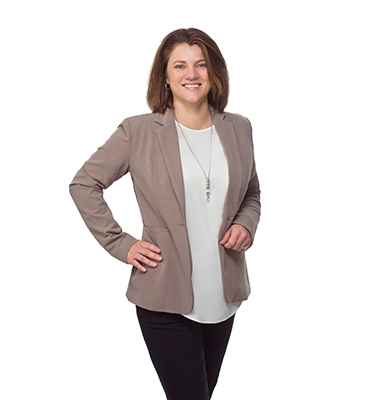 Genevieve Ackland is an experienced Speech Pathologist who worked for The Department of Education and Early Childhood Development within schools as well as several leading Private Practices in Melbourne before commencing with Robyn Stephen & Associates in 2014. Genevieve is a highly organised and motivated professional committed to providing excellence in speech pathology services. She enjoys undertaking any new opportunities and challenges and has the necessary skills to adapt to new situations. She is a strong team player and has the ability to work effectively in multidisciplinary team environments. Genevieve’s focus is very much client centered and she aims to make a positive difference to each client and their family. Kate Down has extensive experience across a diverse range of settings, including work within public hospitals, community health, and in private practice. 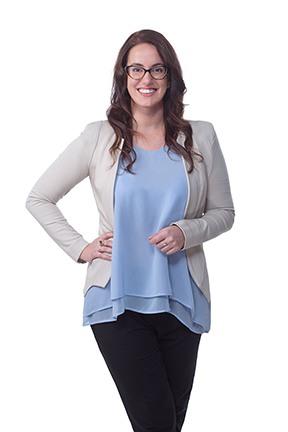 Kate joined Robyn Stephen & Associates in 2014, bringing with her a comprehensive work background and unique areas of special interest. Kate is passionate about working with children with Autism Spectrum Disorder (ASD), particularly young girls, and was the pioneer behind Robyn Stephen & Associates running the first and hugely successful ‘Girls Only’ Secret Agent Society group in 2016. Kate contributes her valuable expertise with ASD assessments and therapy, working with great dedication to help children and families with the process of diagnosis and early intervention. 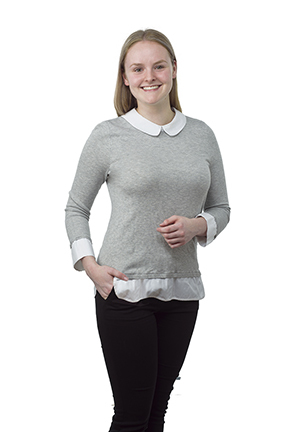 Kate has a warm and approachable nature, and brings a fun and friendly element to every area of her clinical work. Working with children across all ages, from 12 months old to adolescents, Kate assesses and provides intervention for speech, language, literacy, social skills, and stuttering, working in a range of kindergartens, primary schools and high schools across Melbourne. With her current therapy approach including individual, dyad, and group sessions, Kate genuinely cares for each individual client and is always aiming to ensure that every child receives the most beneficial therapy arrangement to help them achieve their goals. To add, Kate works in close collaboration with parents and families to enable the smooth transition of Speech Pathology strategies from the clinical environment into the home and school life. In addition to her ongoing clinical contributions, Kate continues to pursue her ongoing passion for research in the field of Speech and Language Development. Her works have been published in academic journals and presented at the Speech Pathology Australia National Conference in 2012 and 2016. 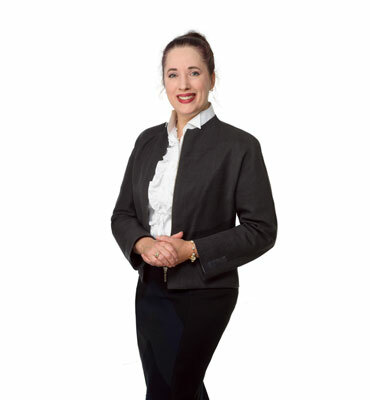 Liselle Grant joined the Robyn Stephen & Associates Speech Pathology team in 2013, bringing with her a rich and diverse background of over 20 years experience in business communications and management, including 8 years as a State Manager in the corporate sector. As a Speech Pathologist, Liselle initially worked at Eastern Health with adults in a sub-acute/rehabilitation setting, prior to moving into Paediatric Speech Pathology. Liselle delights in working with children of all ages on their speech, language, play, and pragmatic goals, and over the years, she has developed an enthusiastic special interest in assisting children with literacy development. As an adjunct to her Masters in Speech Pathology and Masters in Communications, Liselle is currently completing her Masters in Teaching (Primary and Secondary), a pursuit that both complements and enhances her ongoing clinical Speech Pathology work. Liselle utilises a family-centred approach to therapy enabling parents/carers to incorporate strategies into functional everyday settings. By working in a multi-disciplinary partnership with families, medical and health professionals, and educators, Liselle enjoys maximising the outcomes for clients. The Prompt® – which can be used to treat speech production disorders. Liselle finds tremendous satisfaction and joy in working with children and their families to support them in developing and achieving their potential. Lisa Pellegrini is a highly experienced and passionate therapist who naturally engages with children and adolescents by providing thorough assessment and motivating intervention to support the development of their speech, language and communication skills. Lisa Pellegrini is a highly experienced and passionate therapist who naturally engages with children and adolescents by providing thorough assessment and motivating intervention to support the development of their speech, language and communication skills. Lisa enjoys working with preschool and school aged children with speech, language and fluency needs, Autism Spectrum Disorders and other social communication difficulties. Lisa utilises a family-centred approach in therapy and she strives to empower parents to be the agent of change in their child’s life by training and helping parents focus on their child’s communication skills. She is a committed therapist who works holistically with families to facilitate engaging therapy sessions, which target the individual needs of each child and family to help them achieve their goals, extending beyond the clinic room and into their everyday lives. Lisa brings many years of experience from working in the United Kingdom as well as various Community Health and Early Childhood Intervention Services across Melbourne. Lisa is specialised in the field of Autism Spectrum Disorder, particularly in the differential diagnosis and intervention of children and adolescents. She confidently worked alongside paediatricians, psychologists and psychiatrists in autism and neurodevelopmental disorders diagnostic clinics across London. Genevieve is a friendly and engaging clinician who adores working with children and providing evidence-based speech pathology services. She is passionate about empowering families to help their child in reaching their full potential. Genevieve is a friendly and engaging clinician who adores working with children and providing evidence-based speech pathology services. She is passionate about empowering families to help their child in reaching their full potential. Genevieve strives to keep therapy fun whilst providing parents with education to enrich her sessions. 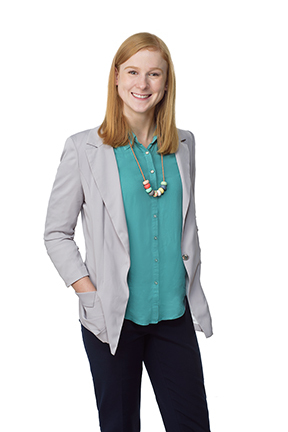 Genevieve has recently, worked in another large private practice in the Northern suburbs where she worked closely with occupational therapists and joined with Melbourne Child Development in early 2018. Genevieve previously worked as an Early Childhood Educator for 5 years whilst undertaking her Masters Degree in Speech Pathology at La Trobe University. Genevieve hopes to expand her clinical knowledge within the feeding domain and assist infants and young children with feeding difficulties. When Genevieve is not working she enjoys spending time with her family, creating delicious foods or exercising outdoors. She is known to others by her vibrant and warm personality and devotes her time to supporting families and nurturing children. 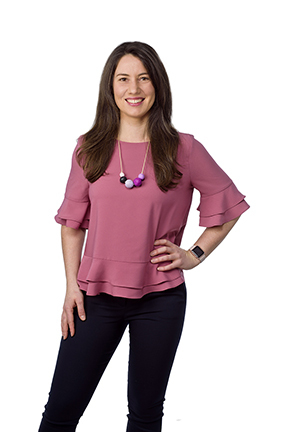 Anna Woodburn is an enthusiastic and approachable Speech Pathologist, who joined the team at Melbourne Child Development in September 2017 and engages clients and their families in motivating sessions to ensure that clients feel comfortable and ready to learn, and families are actively involved in the process. Anna has previously worked at a private practice alongside Speech Pathologists, Educational and Developmental Psychologists, Auditory Training Technicians and Multisensory Literacy Educators, focussing on improving auditory processing, working memory, speech, language, literacy skills, self-esteem and emotional well-being for children and adults of all ages. Anna’s experience in these areas brings specific knowledge and skills to the practice, which is highly valuable to the team. Anna is passionate about empowering clients and their families by providing education and informational counselling relating to their specific area of need, and encouraging increased participation, so that they are best supported, assisted and able to achieve their communication goals. Anna aims to include relevant teachers, health professionals and other significant caregivers in discussions, goal setting, progress updates, and strategy implementation and modification to ensure that she provides a holistic and consistent approach to best understand and meet her clients’ needs. As both a compassionate and innovative clinician, Anna is able to utilise her knowledge, experience and technical skills, together with her creative and engaging approach with clients, in order to provide therapy that is both beneficial and enjoyable for her clients and their families. Holly is a friendly and enthusiastic Speech Pathologist who strives to deliver family centred, evidence based practice. She has provided both assessment and intervention across a large range of areas in Speech Pathology, working with adults and children with complex needs. Holly is a friendly and enthusiastic Speech Pathologist who strives to deliver family centred, evidence based practice. She has provided both assessment and intervention across a large range of areas in Speech Pathology, working with adults and children with complex needs. Holly is passionate about creating a fun and educational environment for her clients, whilst empowering children and their families to achieve their goals and to reach their potential. Alexandra “Alex” Crea is an enthusiastic and passionate Speech Pathologist who joined the Melbourne Child Development (MCD) team in November 2017. Since starting, she has since hit the ground running taking on a broad and diverse caseload of children of all ages and capabilities. As a recent graduate from La Trobe University, Alex incorporates the most recent evidence based approaches from her training into her clinical work and enjoys using contemporary therapeutic intervention techniques for all therapy and assessments. Being a caring and compassionate clinician, Alex has the ability to combine her excellent technical skills with her lively enthusiasm and love for kids to make all of her sessions both beneficial and enjoyable for the children that she works with. 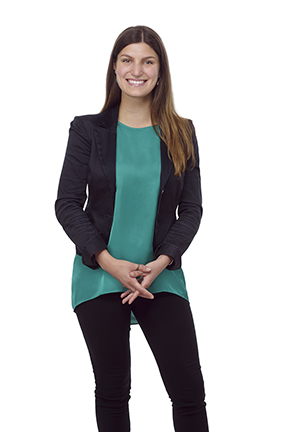 Alex holds a Master’s degree in Speech Pathology, which has provided her with immersive experience working in a variety of clinical settings, including in community health and in education. Within this, she focused on speech and language, paediatric feeding, literacy and phonology with people of all ages. With her commitment to ongoing professional development, she continues to regularly attend training and workshops, some of which have included additional training in the fields of Autism Spectrum Disorder (ASD), paediatric feeding, cued articulation, and the effects of early childhood trauma. In October 2017, Alex was a contributor to the Speech Therapy Cambodia program, where she travelled to Cambodia to train local physical therapists in public hospitals to become competent in conducting swallowing screening and assessment, and in providing dysphagia management. While in Cambodia, Alex also spent time volunteering at CHOICE Cambodia, a non-for-profit school for children aged 3-13 year to learn English and IT, providing support for the greater community. 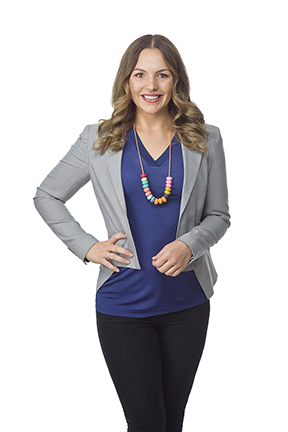 Natasha is a friendly and enthusiastic Speech Pathologist who uses her clinical skills and evidence-based knowledge to empower children to reach their communication goals. She is passionate about working with her clients and their families, to ensure that families feel confident and have the knowledge required to help their child reach their full potential. Natasha is a friendly and enthusiastic Speech Pathologist who uses her clinical skills and evidence-based knowledge to empower children to reach their communication goals. She is passionate about working with her clients and their families, to ensure that families feel confident and have the knowledge required to help their child reach their full potential. Natasha strives to make her sessions not only valuable, but also lots of fun, for the children she works with. Natasha holds a Master’s degree in Speech Pathology, which has provided her with immersive clinical experiences in a variety of settings, including inpatient hospitals, outpatient speech pathology clinics, and educational settings. Within this, she has worked with people across the lifespan to improve their speech and language, literacy and phonology, swallowing, voice, fluency, and social communication abilities. Her Bachelor’s degree in Psychology has also provided her with a thorough understanding of a child’s typical developmental trajectory and the many clinical difficulties or disorders that can have a significant impact on this. Taking a special interest in Autism Spectrum Disorder (ASD), Natasha completed her honours thesis within this field of research. She went on to work as a Research Assistant within an ASD-specific research centre on a variety of research projects and saw the important role that the Speech Pathologists played in the development of the children she was working with. This insight lead to Natasha’s passion to begin her career as a Speech Pathologist. Georgie is a degree qualified clinical naturopath who considers it a great privilege to be able to work closely with individuals, families, and children to help them to improve their health. As a compassionate and conscientious practitioner, Georgie is committed to providing her clients with the highest quality of care in order to assist them to achieve their health goals, improve their quality of life, and address the underlying drivers of their illness and disease. Georgie is a fierce advocate for personalised medicine, believing that there is no such thing as a ‘one size fits all’ approach to health care. Rather, she has observed that the best outcomes are achieved when treatment is tailor-made for each individual’s unique body, environment, and lifestyle. Georgie hopes to bring improved health and wellbeing to the clients she works with by supporting them to implement realistic and sustainable strategies that will result in the most meaningful and lasting changes. 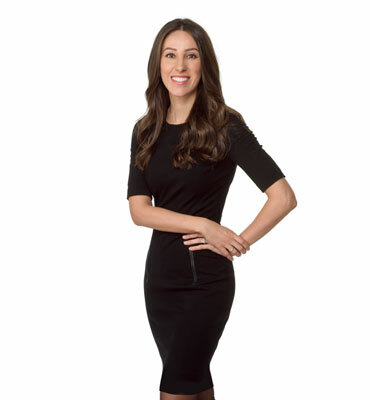 In her clinical work, Georgie places a strong emphasis on evidence-based medicine, incorporating the most recent and reliable scientific research with what is known to be best clinical practice so that she can address each client’s individual health needs in the most clinically effective way. Underpinning Georgie’s work is a strong focus on collaborative care and she is always looking for opportunities to contribute her piece of the health puzzle towards the big picture by integrating and working closely with all health care providers within a person’s support team. Georgie holds a Bachelor of Health Science in Naturopathy from the Southern School of Natural Therapies (SSNT) and was the recipient of the Award for Excellence In Clinic upon graduation in 2017. 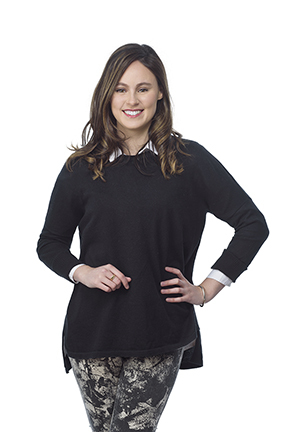 Further to this, Georgie has been selected for a number of notable internship programs where she has received additional mentoring and training in the areas of fertility and pregnancy care, and thyroid disease. In her commitment to the evidence-based nature of contemporary naturopathic medicine, Georgie completed a research paper through SSNT in 2016 on the role that herbal medicine can play in neurodegenerative conditions and she continues to pursue her passion for research and writing alongside her clinical work. 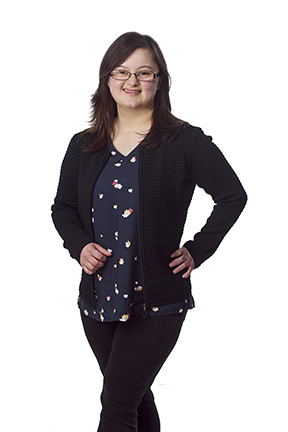 Georgie enjoys working with children and their families, particularly children and adolescents with Autism Spectrum Disorder (ASD), children with behavioural challenges, and picky eaters or problem feeders. She also has a special interest in working with individuals experiencing complex gastrointestinal or mental health conditions, and those with hormonal dysfunction, such as diabetes or insulin resistance, obesity, adrenal imbalance, or thyroid disorders. Bronwyn Meaker is an experienced registered Psychologist who has worked in private practice, government organisations, schools and overseas. Being a mother of two, she has experienced the joy but also the demands and challenges of parenthood in raising children. Her interests lie in working with children, adolescents, adults and families in a positive and collaborative approach to overcome barriers to reaching one’s full potential and a greater sense of control in their life. BA (Psych) H.E.D. B.Ed (Psych). MPsych. This therapeutic model addresses the unconscious patterns and belief systems, which sabotage and limit one’s best future. It identifies and heals the core problems we encounter in all relationships including yourself, work, family and marital to allow change for the better. This technique can be applied to all problems and conditions for adults and children. The Griffith’s measures the rate of development of infants and young children from birth to 8 years. It assesses a child’s strengths and weaknesses in all developmental areas, and can be used to determine if a child is in need of an early intervention or a treatment program. © 2019 Melbourne Child Development. All Rights Reserved.